Mariah CareyChild, Please … Monroe Sings at the Bowl! Mariah Carey is passing her microphone, and tiara, down to her daughter, Monroe … who made her singing debut at the legendary Hollywood Bowl. Monroe took center stage at the venue Monday night during Mom and Lionel Richie‘s concert. 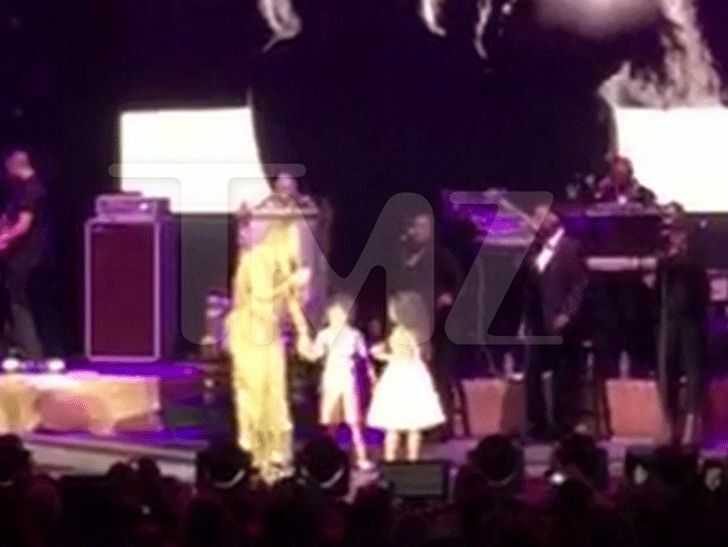 When Mariah launched into “Always Be My Baby” … the diva-in-training got on the mic. Sorta. It took some encouragement from Mariah, but she busted out a few notes. Monroe’s twin bro, Moroccan, was there too, but he’s saving his pipes for a solo performance. They grow up so fast. And just so you can feel old too — the song is 22 freakin’ years old!